Free Maybelline Fit Me Gel Foundation Sample!! 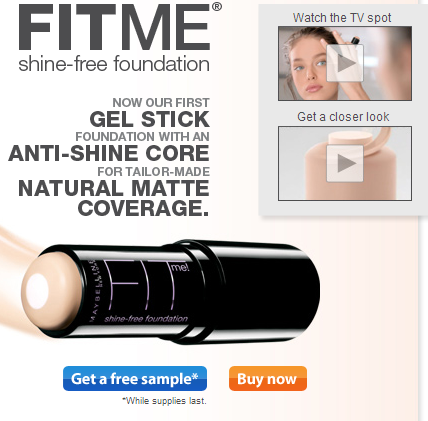 Fill out the short form HERE to grab a FREE sample of the all new Maybelline Fit Me Gel Stick Shine Free Foundation while supplies last. Offer limited to one per household. Please allow up to 4 weeks for your sample to arrive.